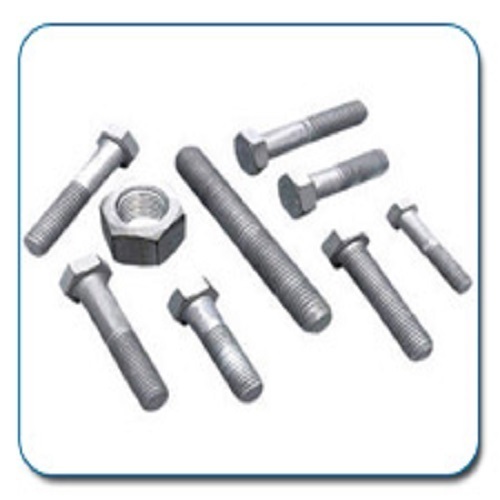 We are engaged in manufacturing high quality range of hot dipped galvanized fasteners that are highly recommended for joining heavy duty components known for corrosion resistance, high efficiency, easy maintenance and other features, these are in high demand by our clients spread across the globe. Jeemet Steel & Engineering Company is one of the leaders amongst manufacturers and exporters of high quality Pipe Fittings, Buttweld, Fasteners & Flanges in Alloy steel, carbon steel, stainless steel, nickel alloys. Our products have found various applications in different industrial requirements, including - Oil & Gas, Chemical, Petrochemical, Power Plant, Pulp & Paper, Environmental & Water Projects, Engineering Projects and more. Jeemet Steel & Engineering Company been a professionally managed Importer, stockist and supplier of ferrous and non-ferrous metals. We are capable of providing a vast range of materials, from stock, to suit your needs. From highly specialized non-standard material to off the shelf items, from production to prototype, from low minimums to mill runs. Jeemet Steel & Engineering Company has the experience to solve your most difficult requirements. Some of the unique values of Jeemet Steel & Engineering Company complete combination for Ferrous and Non-Ferrous Metal products: The customer is at the center of everything we do. Complete customer satisfaction - in terms of products, services and punctuality - is our base-line. Integrity First... In thought and deed. Location may vary But Quality can’t. Safety. In all we do, at all times.